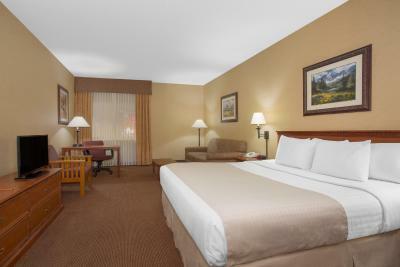 Lock in a great price for Days Inn by Wyndham Wellington Fort Collins Area – rated 8.2 by recent guests! The staff was very nice. They did a wonderful job. We normally do not care for Days Inn but this one was super nice we enjoyed our stay everything was very nice. 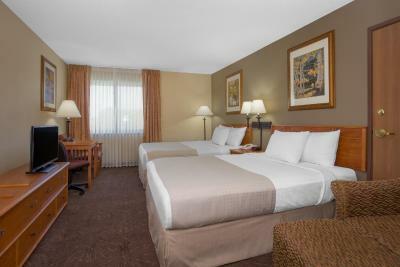 We will be giving the Days Inn chain a second chance after staying here. The AC works great. Window actually opens. Front desk staff very nice. Beds comfy. Great water pressure in shower. Was passing through to my destination. Convenient location. The staff were very helpful and the breakfast was decent.the rooms were clean and everything in the room worked. The staff was very friendly and accomodating--especially since over Christmas Eve and Christmas Day. Breakfast had many delicious items and we liked what we ate. The Manager Kim was great!!! Excellent customer service and empathy! She's great. The staff were helpful, the bed was comfortable, room size was spacious. It is clean and the exercise room was nice. Breakfast included in stay was tasty and available until 10am. Every body and everything, good professional place and people. 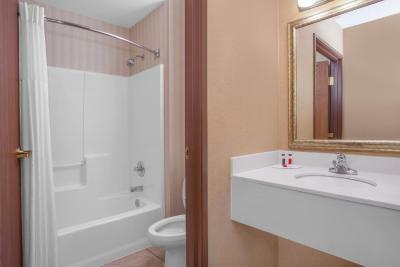 Days Inn by Wyndham Wellington Fort Collins Area This rating is a reflection of how the property compares to the industry standard when it comes to price, facilities and services available. It's based on a self-evaluation by the property. Use this rating to help choose your stay! 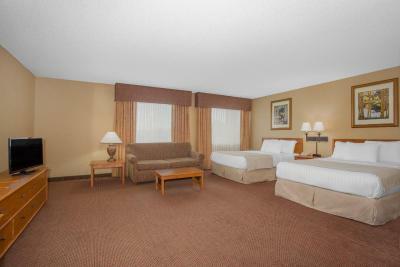 Featuring free WiFi throughout the property, Days Inn Wellington/Ft. Collins offers pet-friendly accommodations in Wellington, 12 mi from Harmony. Free breakfast is served daily. 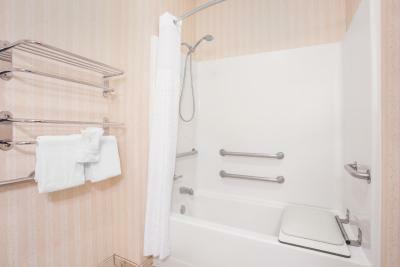 Guests can enjoy a heated indoor pool and a hot tub. 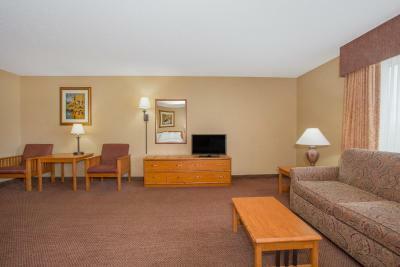 Free WiFi and a flat-screen cable TV are featured in all guest rooms. You will find shops at the property. A fitness center is available. Greeley is 37 mi from Days Inn Wellington, while Fort Collins - Loveland Municipal Airport is 19 mi away. Denver International Airport is 75 mi km from the property. Anheuser-Busch, LLC is 10 minutes' drive from the property. 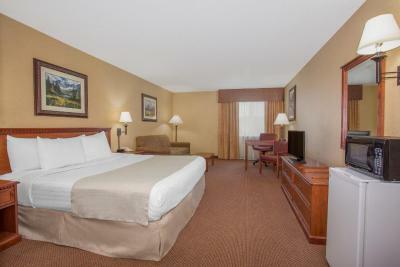 When would you like to stay at Days Inn by Wyndham Wellington Fort Collins Area? House Rules Days Inn by Wyndham Wellington Fort Collins Area takes special requests – add in the next step! Days Inn by Wyndham Wellington Fort Collins Area accepts these cards and reserves the right to temporarily hold an amount prior to arrival. I could not believe that the pull out couch didn’t hurt my back. In the past there were appliances in the room. I was disappointed in not having them. We had no way to have dinner Christmas evening. Nothing was open. That my money was never credited back to me like she said it was! The pillows weren't the greatest. we arrived at 1:55 pm, when we booked the stay we were told the room would be ready by 2 pm, granted we were 5 minutes early but to begin with were told there weren't any clean rooms available and they didn't know how long it would be, we were there to check in and change clothes to go back to a wedding reception, I stated that we were told check in was 2 pm and we were only 5 minutes early, the person at the counter said will let me check she did and came back and stated that a room was ready, which was good, rooms should be ready at the stated time. I think it was a little over priced for the accommodation that we got. The staff were very kind and accommodating. The bed seemed to be slanted downward at the bottom. The air conditioning only worked on run, rather then auto. Fan in bathroom didn't work. Would have liked to have a spare blanket in the closet. Pillows rather hard. I understand it's difficult to have a "not boring" breakfast, but, it is sadly boring.